Do you have a fear of heights? Overcome it in just three empowering sessions of the Thrive Programme! 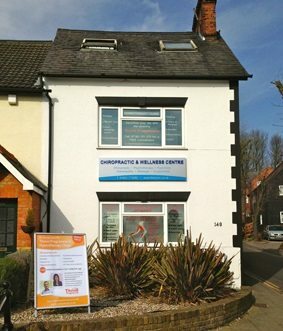 Offices based in Rickmansworth and Aylesbury, welcoming enquiries from nearby St Albans, Amersham, Chorleywood and Northwood. Many people can feel a little uneasy when looking down from a great height. However, for some people this can be a terrifying experience. Physical symptoms of a phobia of heights include a shortness of breath, palpitations, nausea and panic. If you have a fear of heights, you’ll know how restrictive it can be in certain situations. It may prevent you from enjoying scenery, or views. It may also be a bigger inconvenience in your life and affect day to day tasks such as climbing up a ladder. Where does my fear of heights come from? Quite simply, from our lack of belief in ourselves and that we can cope with the thing we fear. If we believe that we don’t possess the emotional skills to deal with a challenging situation, we can create a whole lot of anxiety about it. Phobias are the result of a set of simple thinking errors – such as mis-using our imagination to expect the worst. Our ‘catastrophic’ thinking then strengthens our fear and lack of belief in our ability to cope….and so the cycle continues. The Thrive Programme is a revolutionary and powerful training programme which, with your input, will allow you to feel more confident and more in control in your life. You’ll find that its much simpler and faster than you may have ever believed to take control and stop your fears. No matter how intense your phobia is, or how long you have suffered from it, it will be caused and maintained by SIMPLE thinking errors that you will be taught to recognise and change. The Programme doesn’t just teach you how to manage or reduce the emotions from your feared stimulus – it equips you with the beliefs systems and thinking you need to not even create the emotions or fear in the first place.